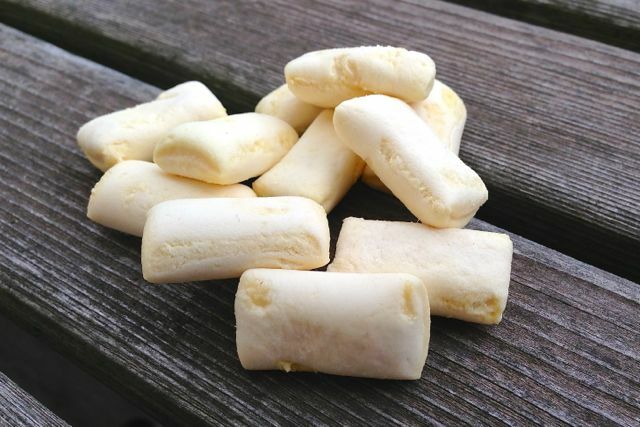 If you're looking for multiple flavours of vegan marshmallow, there are lots of options like Anandas or Sweet Vegan, but if you're looking for machine-made, 'flump' style marshmallows, Freedom Mallows are the ones you want. The marshmallows are small - not the really small ones you'd top a hot chocolate with, but not the big camp-fire ones either. They're sort of tube-shaped but flatter and about 3cm long. 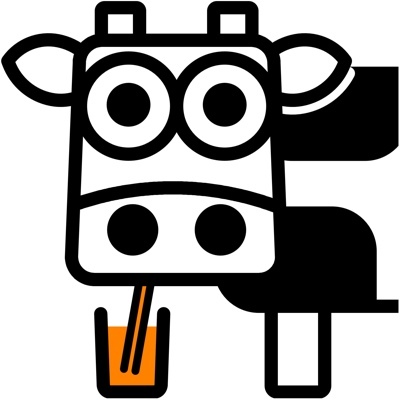 There's not much to say about the flavour - it's vanilla alright, mild and sweet. The texture is what sets these apart from the hand-made ones that vegans will be more familiar with. 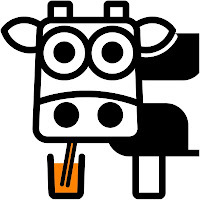 These really are just like their gelatinous cousins - soft and squidgy. The outside is lightly dusted with cornflour, but ours were a bit sticky in the warm weather and some were stuck together. 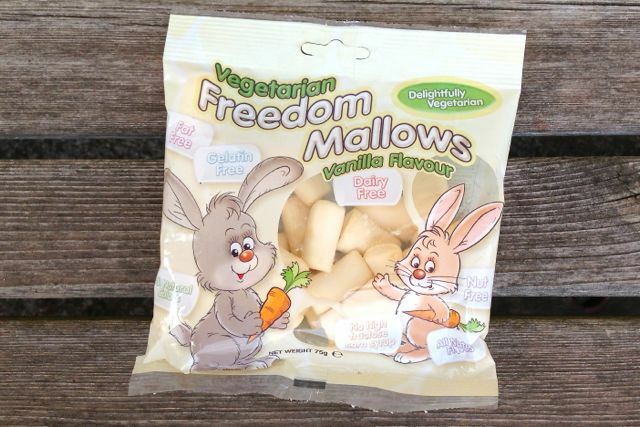 We'd like to see Freedom Confectionery expand the range to produce mini marshmallows and maybe some big fat ones too - something big enough to skewer. We couldn't test the meltability of these mallows as we're not equipped on our travels, but other vegan bloggers say they melt well.